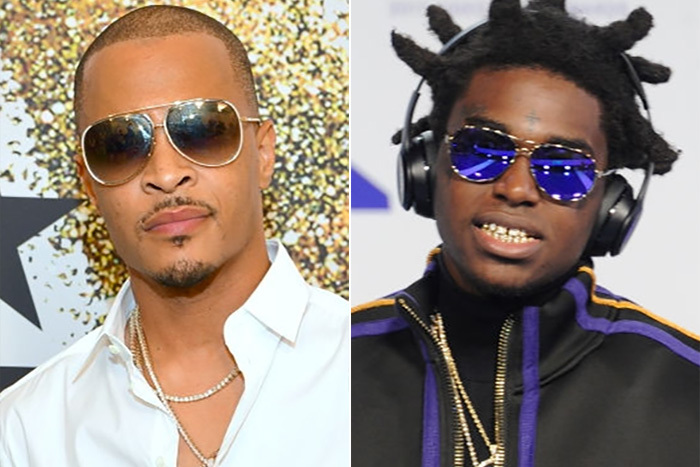 According to reports from XXL, last night the beef between Kodak Black and T.I. went from social media to diss records after Kodak released a brand new track called “Expeditiously,” where the young Florida rapper takes shots at the veteran MC over his disrespectful comments about actress and girlfriend of the late Nipsey Hussle, Lauren London. About a week ago the former XXL Freshman became a hip hop villain after the media slammed him for his inappropriate flirtatious comments about Lauren London a week after the loss of her boyfriend Grammy nominated hip hop artist/entrepreneur Nipsey Hussle. Hip hop vets like T.I. and The Game as well as r&b singer Tank took it Instagram to display their issue with Kodak’s comments. Kodak didn’t take likely of these older gentlemen trying to check him on social media. He went on Instagram live to publicly apologize to Lauren London if she felt disrespected by his comments and went on to address everyone else saying that he wasn’t for getting checked like someone’s son, if they felt a way they could’ve called him first instead of going to social media and that he’s on tour and wants the smoke if anyone wants to see him in person. A couple days ago T.I. released a snippet of what seemed to be a diss track addressing Kodak Black’s Instagram live response. The Atlanta hip hop legend sent bars to Kodak letting him know that he didn’t care how old he was that he had no problem addressing him publicly face to face even if it meant causing a physical altercation between the two. At first Kodak took it to Instagram Live to share his thoughts about T.I.P. and the snippet, saying that his actions to get Kodak banned from radio and the song were weak as well as going on to disrespect his sons and wife.